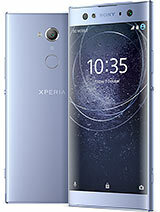 What is better at playing games and fast internet connectivty Sony Ericsson Xperia X8, Samsung Galaxy fit, or HTC Wildfir? How can I send files over bluetooth?? zie, 05 Jul 2011why my sony x8 cannot download anything when i use market?? ?can u tell mer u already reg.with google/gmail.acc.?? What is the difference between Anaroid,sybian,bada OS?? Is this phone updatable to android version 2.2? 1-As we know in some feature phones like my lg kp500 there isnt flash support but it is possible to install bolt browser in order to watch online videos. Is it possible to install a third party app to play online videos?.I mean most of them not only youtube ones.Its very important for me because nokia c5-03 can support many online viseos and it makes me confused betwwen botth. 2-Is the audio quality and also camera quality is good regardless of it has no autofocus and flash. 3-which is the max resolution supported by the phone while playing mp4 or 3gp videos? The good things are- its an Android fone within budget. Can download as much android software from 'MARKET'. Can we modify camera settings?can we increase the brightness of the phone and the camera mode? And to play the other formats as you mentioned you can go to Android Market to install 3rd party apps to play music and video. hi ppl. i need a suggestion, when i got my xperia x8 connected to my pc, threats were detected and deleted. but to my surprise i cant find any of the folders available initially like the android, DCIM, music, video, etc. but in my phone i can see all the files and folders available and can also access them, but when connected to pc, ther are no files and folders detected in the "phone card" drive.i cant make any file transfer. i have already reinstalled my pc companion twice. what should i do?? should i reboot my phone? ?